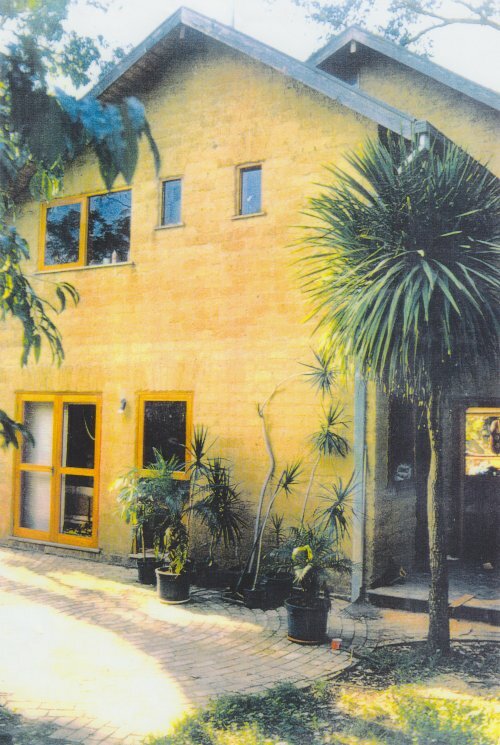 A double storey earth brick house built in Eltham in the 1980's. The gas supply authorities changed their meters on three occasions, claiming that no house could operate using so little energy. Perhaps they should have asked the owners why their house was so efficient. 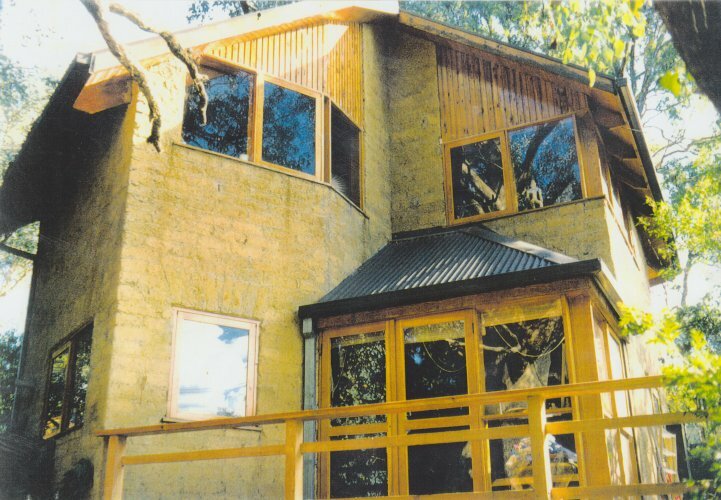 The earth walls have had no surface treatment and only have 600mm eaves.